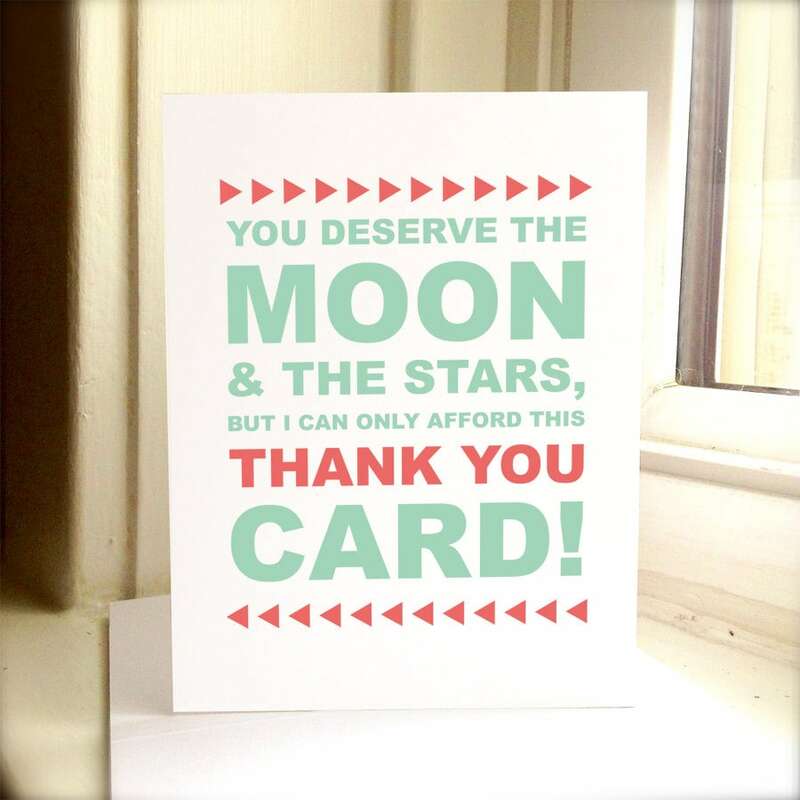 You Deserve The Moon & The Stars, But I Can Only Afford This Thank You Card! Each card is printed on a white matte card stock. This card measures 5.5 x 4.25. The card comes with an envelope. The paper & envelope color in the photos are a close approximation of the paper colors.